poem and a story in the book. 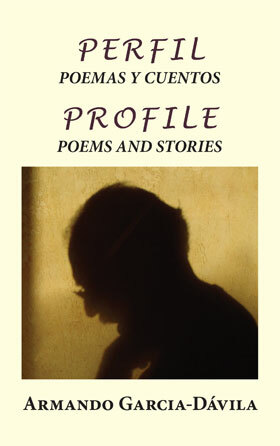 Perfil is the English/Spanish companion book to Armando Garcia-Dávila's English-only book Profile. Armando Garcia-Dávila burst upon the Sonoma County literary world in the latter part of the 1990s. What started as a s deries of op. ed. pieces he wrote concerning the First Persian Gulf War and the memories of friends killed in the Vietnam War, turned to poetry to express wide ranging thoughts rooted in his Mexican-American/Catholic upbringing. To make clear his humble background, he called himself the “blue-collar” poet. His poems have been widely published and also found their way into union newsletters and Sunday pulpits. He has read his poetry to immigrant laborers in the vineyards and prisoners in San Quentin. In 2002, he was chosen as the Healdsburg Literary Laureate. Armando’s biggest supporters are his wife, Kathy, his two grown children, Cecilia and Emilio, and his twin brother, Fernando.